Who better to guide you through Europe and the Middle East than Samuel Clemens? 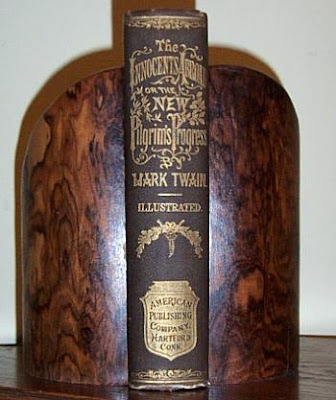 Published in 1869, The Innocents Abroad, or The New Pilgrims' Progress chronicles Twain's pleasure cruise on board the chartered vessel Quaker City through Europe and the Holy Land with a group of religious pilgrims. 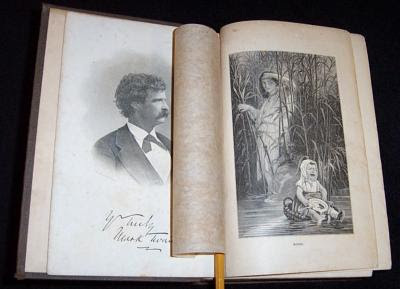 It was the best selling of Twain's works during his lifetime. This version from 1889 is available on ebay for $185 or you can read it at your computer for free through Google books (a service that could topple corporate America if we weren't all so stricken with attention deficit disorder). In the inofficial sequal, A Tramp Abroad, Twain and his made up companion make their way through Germany, the Alps and Italy. 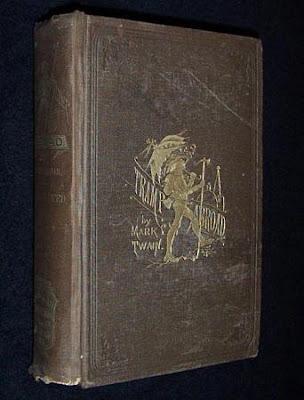 This 1880 first edition is going for an intimidating $1,050, but you can also read it for free (I love that the copy Google scanned was a 1955 addition to the Harvard library).